Post mission life is full of critical life decisions: college, career, and eternal companionship to name a few. With so many choices to make, knowing which road to take and how to navigate its potholes becomes essential to obtaining celestial success. Hopefully by now the contents of Preach My Gospel have gone down into the bones of your being. The spirit of that great manual can guide you just as well after the mission as it did while you were a full-time servant of the Lord. Instead of “Preach My Gospel," however, now your goal is to “Live My Gospel.” Here are a few questions that can help you forge a path of faith even amidst the tides of uncertainty and new pressures you’ll experience as an RM. 1) How will I adjust from Preach My Gospel to Live My Gospel? Sure, the adjustment period after the mission field is easier for some than for others. All returned missionaries face awkward situations in trying to be “normal” again (whatever that really means). Remembering a few of those experiences will leave a smile on your face. Don’t worry about those minor adjustments; instead focus on moving forward without surrendering the high ground you obtained as a full-time missionary. What are you going to do with this newfound, post-mission life of yours? So many of the paths ahead of you are good—some even great. Your choices now are not between good or bad but more often between good, better, or best. The Lord can direct you, but only if you are willing to move forward with faith. Remember to use the skills you gained in the mission field to press forward with a steadfastness in Christ. You will find more answers to your prayers while on your feet than on your knees. And whatever you do, don’t put your Preach My Gospel away! Instead, adjust all the chapter headings to reflect your life as a returned missionary. You will find it still can provide inspiration and help for RMs, giving you the principles you need for success in your life now. 2) How can I continue to work hard now that I am home? Any missionary that loved their mission knows that hard work is an essential ingredient for success. Coming home to a wide open future means, once again, that hard work and the Holy Ghost should be your constant companions. Furthering your education and finding a job to help you save money needs to be at the top of your temporal priority list. One stake president I know lamented the fact that many returned missionaries lose the skills they learned from chapter 8 of Preach My Gospel, “How Do I Use Time Wisely?” Setting goals and planning your time should still be part of your life, now more than ever. You might not need to be as meticulous with detailing every half hour, but your goals—both the short-term and long-term—can serve as valuable guideposts along the road to the rest of your life. 3) How am I striving to create a celestial marriage? Many returned missionaries feel tremendous pressure to get married right away. President Thomas S. Monson recently helped put those fears at ease. He taught, “I should like to dispel one rumor that is very hard to put to rest. I know of no mission president in all the world who has ever told a missionary that he had the responsibility to marry within six months after his mission. I think that rumor was commenced by a returned missionary, and if not by a returned missionary, by the girlfriend of a returned missionary” (“Whom Shall I Marry?” October 2004 general conference). He then went on to give tremendous hope and show optimism for your ability to make the right decision. Do not let your fears cripple your faith! Get out and have a good time with members of the opposite gender. Remember, amidst all your “munch and mingles,” “linger longers,” and “meet and greets,” one of the primary purposes of socializing in wards, institute classes, and YSA activities is to find someone who is willing to take the journey through eternity with you. The goal is not just to get married at a temple; the goal is to make, enter into, and keep the covenants you make with God and your eternal companion in the temple (see D&C 132:7). Marriage is a marathon, not a sprint. It is refreshing to see young people today spend more of their time planning for their marriage than they do planning the wedding. Even though your mission is over, your full-time adventure in life has just begun. Make the most of it on the disciplined path of discipleship. 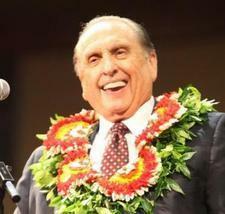 President Monson taught it best when he said, “The future is as bright as your faith” (“Be of Good Cheer,” April 2009 general conference). To read more questions and answers about making the successful transfer from the mission field to life at home, read Benjamin Hyrum White’s new book 10 Questions to Answer After Serving a Mission. Check out www.benjaminhyrumwhite.com for more information and books by Benjamin Hyrum White.